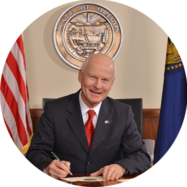 state’s historic records, including Oregon’s original Constitution. SALEM, OR — In recognition of National Archives Month, the Oregon State Archives will hold its annual Open House on Saturday, October 6 from 10:00am to 3:00pm. The event will include a new gallery exhibit on the history of the Oregon State Fair. Visitors can participate in activities that include games, puzzles, coloring, and trivia. Prizes and giveaways will be featured throughout the day. This event is free and light refreshments will be provided. In addition, “behind the scenes” tours will be given of the State Archives records storage area so visitors can learn more about the Archives and its holdings. The 25-minute tour will provide an opportunity to see some of Oregon’s most significant historical documents, including the original Oregon Constitution.